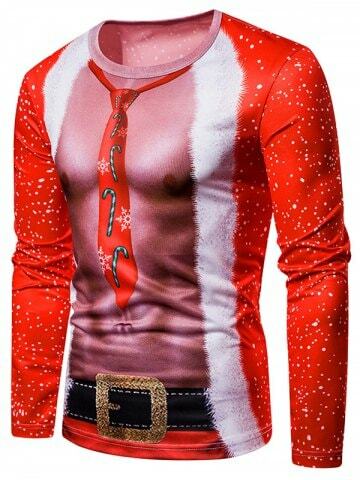 Let's explore the possibility of the ugly Christmas sweater. I remember the Christmas sweaters of 55 years ago - little embroidered presents or mistletoe against a pretty ivory background. 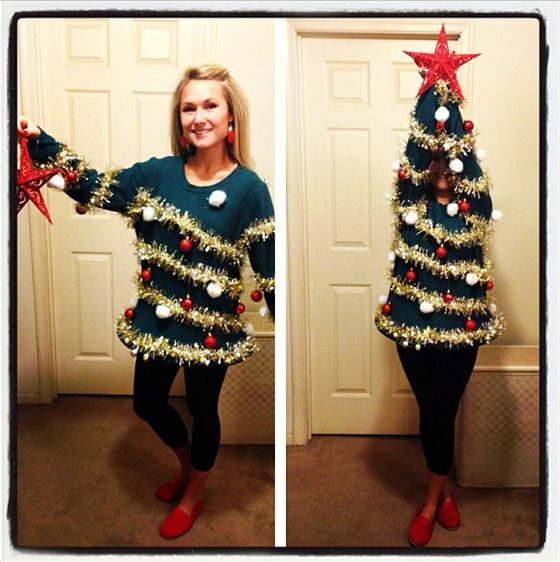 Or a men's sweater with a Christmas tree and its lights actually turn on. These aren't even near the truly ugly tops available today. 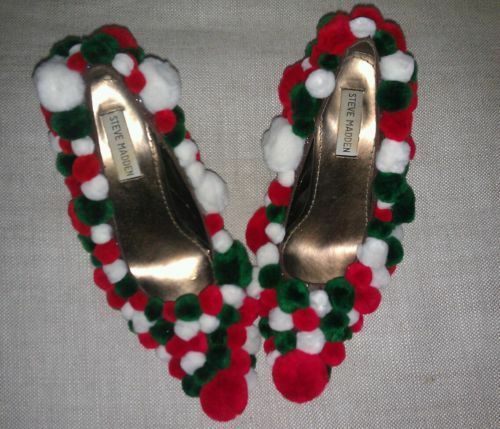 See below - can you imagine being at a party and looking at this all evening, let alone wearing it. And this one is just ugly. 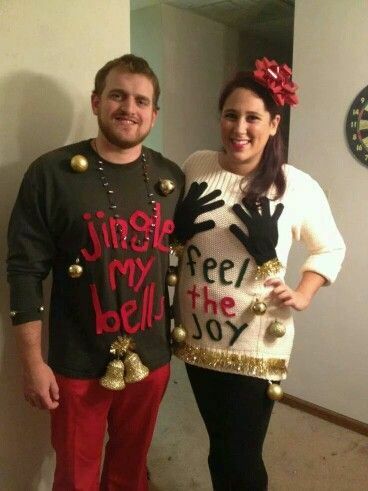 There are rude and ugly sweaters. 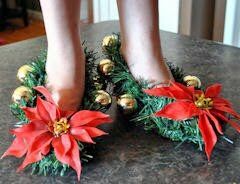 Christmas shoes are truly creative. 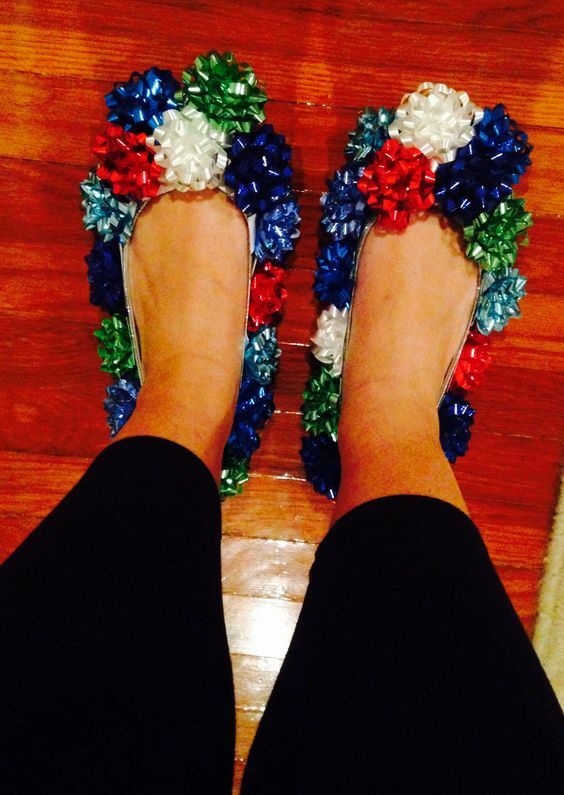 This pair on eBay must have sold out, as they are out of stock. 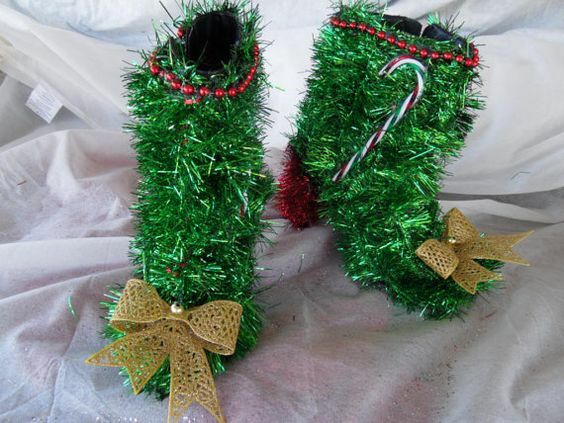 And there are boots for those of us who live in snow land. 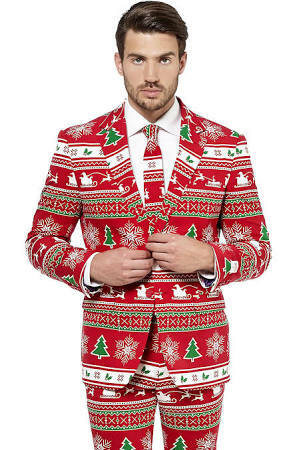 If you are inclined towards formality, the Christmas suit is a possibility. 2. 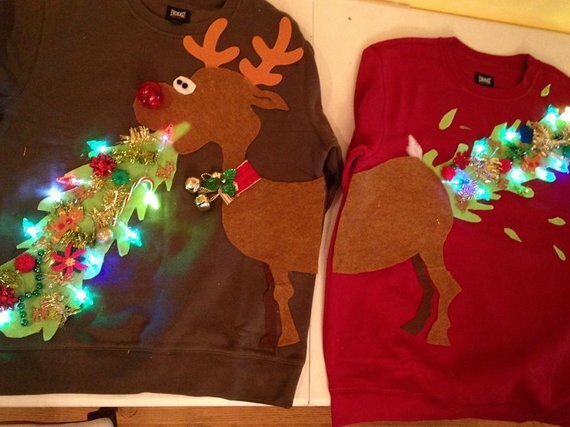 Decorations need to match - what about a the tree having some 'old sweater' decorators - get out that DIY spirit! 3. You are the host - you will need a special sweater! Get busy! 4. Dessert table - everything sweet needs to have a sweater theme - cookies, cakes, all in the shape of sweaters! 5. The Photo booth - of course! How else to capture the joy! 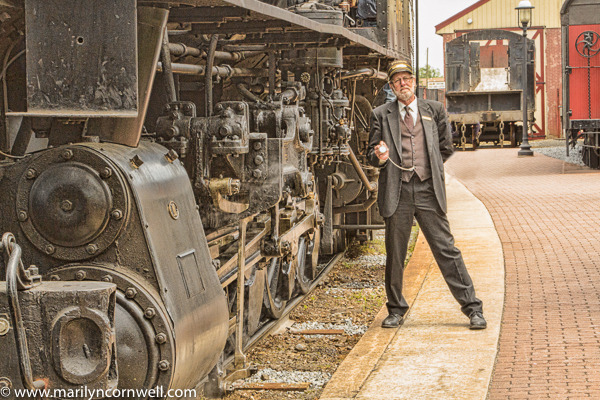 Our conductor from Strasburg says "Games Up" time to board!